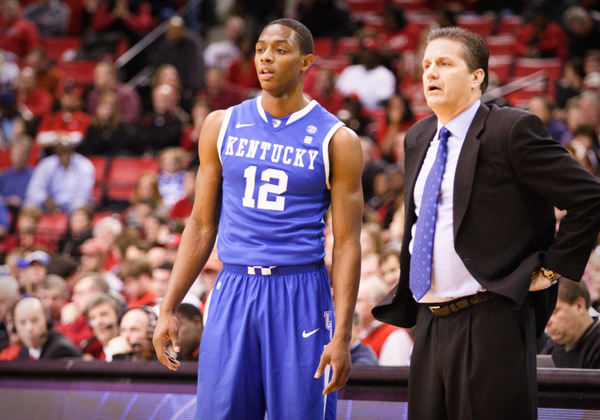 Kentucky will be loaded with youth once again, but look out for Bradley Beal in Gainesville. With significant coaching upgrades in recent years and a corresponding upgrade in talent, the SEC looks to have championship contenders on a regular basis. I expect the league to be more balanced next year with the East and West being much more evenly matched. Expect Alabama, Arkansas, and Mississippi State to fight it out in the West with Arkansas emerging as the champion. The East will be led by national championship contender Kentucky and followed closely by Vanderbilt and Florida. Georgia and South Carolina could make some noise also, but we are in a wait and see status on those teams. The jury is still out on Tennessee as well, due to the possibility of defections and sanctions. I for one can’t wait for the 2011-12 season to begin. Only six months until practice begins. This entry was posted on Monday, April 18th, 2011 at 8:00 am by Brian Goodman	and is filed under conference report cards. Tagged: alabama, alex tyus, anthony davis, anthony gill, arkansas, auburn, brad beal, brad tinsley, brandon knight, Bruce Ellington, bruce pearl, chandler parsons, charvez davis, chris barnes, chris hines, chris warren, cuonzo martin, dai-jon parker, damien leonard, darius miller, deandre liggins, dee bost, dennis elton, doron lamb, elgin bailey, enes kanter, erving walker, festus ezeli, florida, frankie sullivan, georgia, jamychal green, jarvis summers, jeffrey taylor, jelan kendrick, jeremy price, john calipari, john jenkins, john pelphrey, johnny o'bryant, Josh Harrellson, kedren johnson, kenny boynton, Kentavious Caldwell-Pope, kentucky, kodi augustus, kyle wiltjer, ladarius white, levi randolph, lsu, mark fox, marquis teague, mike anderson, mike gilchrist, mike rosario, mississippi, mississippi state, nick jacobs, noel johnson, otto porter, patric young, ravern johnson, renardo sidney, rodney hood, scotty hopson, senario hillman, south carolina, tennessee, terrence jones, tobias harris, tony barbee, tony mitchell, travis leslie, trent johnson, trevor releford, trey thompkins, vanderbilt, varez ward, vernon macklin, zach graham. You can follow any responses to this entry through the RSS 2.0 feed. You can leave a response, or trackback from your own site.